Whichever term is used, matching or exceeding the color depth of your computer monitor to that of your printer or scanner will allow you to view images more accurately, so that your prints will look the same as what you see on your screen. 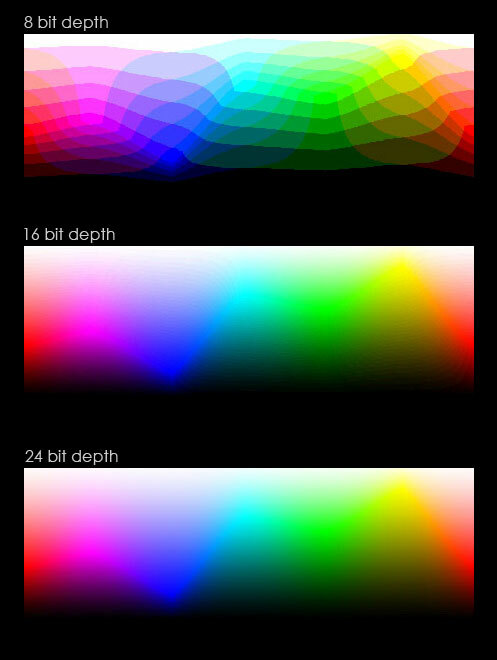 For example, if you choose a 24-bit color depth when scanning an image, you want to ensure that your monitor is set for 24-bit mode or higher so that you can see the full color spectrum of the image. When sending an image to a printer, if your color depth is set too low, the printed image may look very different than the image that was on the screen. Follow the steps below to change your computer’s color depth setting. Right-click anywhere on the desktop and choose Screen Resolution in the menu that pops up. In the window that opens, click Advanced Settings. Click the Monitor tab, then choose the highest setting available in the Colors dropdown box. In most cases, this will be 24-bit or 32-bit. You may also find it useful to reduce the color depth to get a better preview of how an image might look at lower settings. Bookmark this page and refer back to it so that you can change these settings anytime you need to.